Buy Kay at Home a Coffee. ko-fi.com/kayathome - Ko-fi ❤️ Where creators get paid by fans, with a 'Buy Me a Coffee' button. 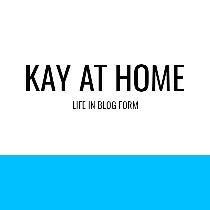 A craft and lifestyle blogger based in Sunny Cornwall! I share days out and lifestyle content along with craft projects, of which there are many! From handmade cards and scrapbooking, to sewing, cross-stitch and knitting! I share it all, and other things I love. All support goes to funding my craft stash, fuelling me with tea, and my phone is dying a death so, I'm saving for a new one at the moment so I can keep up with everything on the go! Hello there! Thanks for visiting! Anything gained from here, will more than likely be put right back into the blog, double sided tape, yarn, new cross-stitch needles... Even these little things all add up! Should the generosity exceed all my expectations, I am debating on doing the whole own domain thing... so y'know there's that. And my phone is officially dying! Secured Payments. Support goes to Kay at Home's account. Upgrade Kay at Home to a yearly Gold Membership with a one-time payment.